Lake Conroe is located approximately one hour north of downtown Houston (via IH-45). Lake Conroe offers clean, clear water for recreation and beautiful waterfront real estate. Planning on buying a home? Listing your home for sale? Contact Judy Reynolds, Realtor® at (936) 203-7761 for information about all active listings in Lake Conroe. 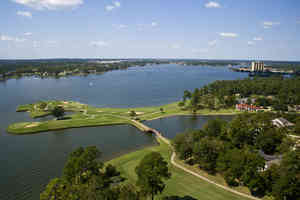 The centerpiece of the area, beautiful Lake Conroe, provides 22,000 acres of relaxation and fun. Launch your boat from a public boat ramp or visit one of many marinas along the shore for watercraft rentals. Lake Conroe neighborhoods such as April Sound, Walden, Bentwater, Longmire Creek Estates, Point Aquarius, Seven Coves, Pebble Glen, and Corinthian Point are popular areas for home buyers. When considering Your Real Estate agent for Lake Conroe, you want a Lake Conroe Realtor® that understands and relates to the market and your needs. Judy knows the area, the builders, and the market. Want to know about homes for sale in Lake Conroe? 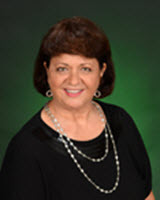 Contact Judy for real estate and property information. Judy can provide additional information regarding Lake Conroe including price trends, tax rates, statistics, and appraised values is available. Search real estate, homes and property around Lake Conroe and in neighborhoods throughout Montgomery County. The lake has over 22,000 acres of surface water, is 26 miles long and 6 miles wide at the widest point. The average depth of the lake is 20 feet deep; the deepest spot is 70 feet in the river channel. There are 157 miles of shoreline along Lake Conroe. The lake is bordered on the north by Sam Houston National Forest, which provides an abundance of wildlife such as deer, several species of birds, even alligators. The lake has some of the best fishing around with species such as blue, channel and flathead catfish; striped, white and large-mouth bass; crappie and smallmouth buffalo.